Breaking the Bank: Stevies Fish! This trip took place last tuesday. This time I did not forget my cahills I was ready to slay the pans and bass. 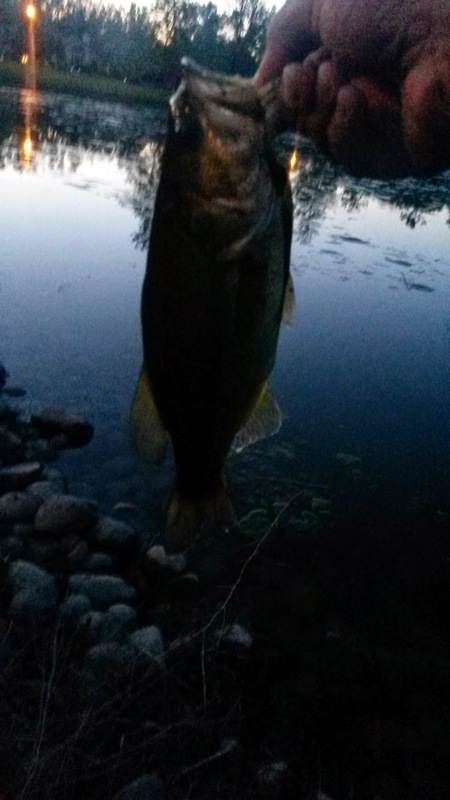 I had a larger green frog popper that I tied on and went to work. The first few pops got strikes but after a while, the fish stopped strking so I changed up to a black wooley bugger, no takers. Jeremy had brought along his girlfriends brother Stevie. Stevie had never caught a fish before so our goal was to get him into some fish. The problem was that from one day to another, the slime on top of the water covered more of the surface of the pond including the area against the cattails that we usually fish. After every cast we had to clean off our cahills because they would get covered with slime. 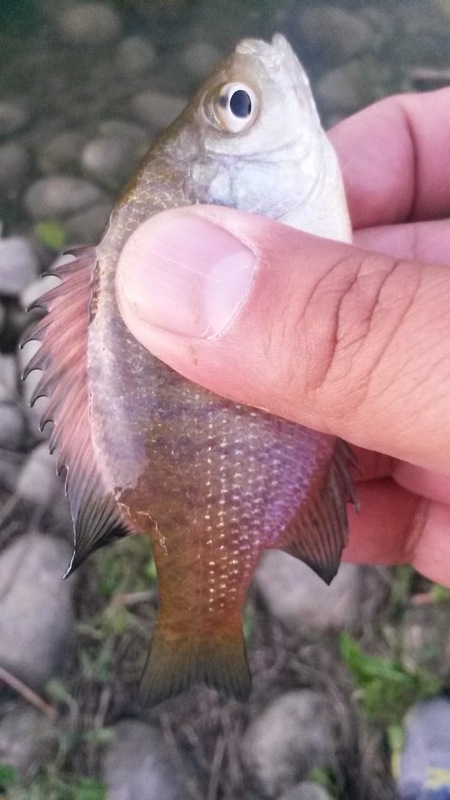 The fishing in general was slower but on top of that, the gills refused to eat our cahills. Normally the fishing hole seems to be easier to fish with a spinning rod but not even Jeremy was having any luck on the spinning rod. I kept trying on the fly rod and caught a few strikes but no solid takes. I looked at the water which was about 75% covered in moss in the place that we usually fish and tied to figure out what was wrong. Then it dawned on me, what if I dropped the cahill right in the clear spots with no moss, and this proved to be the ticket. 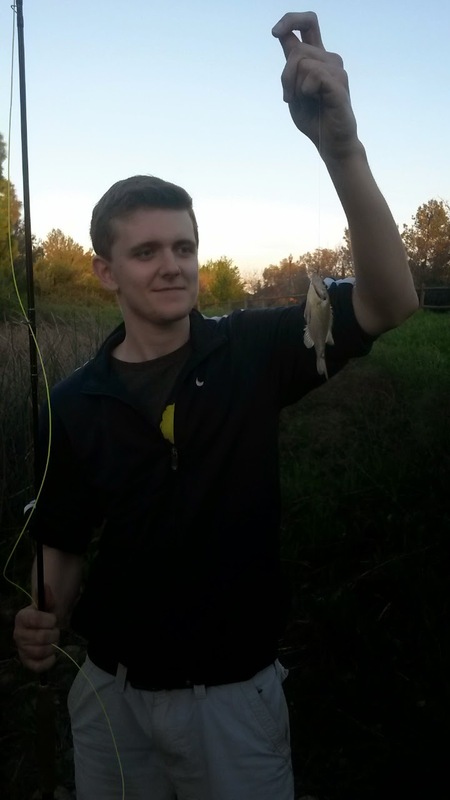 I caught my first and second panfish and then called Stevie over to give it a try. Sure enough after about 5 tries he got into his first fish ever on the fly rod. He ended up loving the fly rod and ended up using Jeremys fly rod the rest of the time he was out there. At the end of the night I used one of Jeremys spinning rods to see if I could gent into a quick bass and on my third cast I got into a bass! That was a great way to end to a great day. 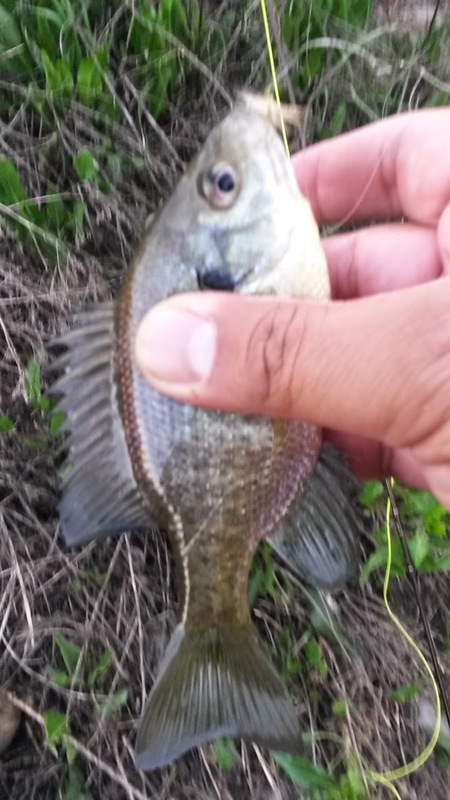 Learning a bit more about panfish behavior and how to fish for them, getting Stevie into his first fish on the fly and a little bass to cap off the night… good times! This was also the last winter fishing trip which means that a seasonal totals report is on its way!